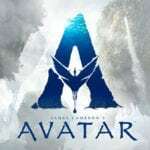 Starring Kyle Mooney, Mark Hamill, Jane Adams, Beck Bennett, Claire Danes, Jorge Lendeborg Jr., Greg Kinnear, Kate Lyn Sheil, Ryan Simpkins, Matt Walsh, Michaela Watkins, and Andy Samberg. 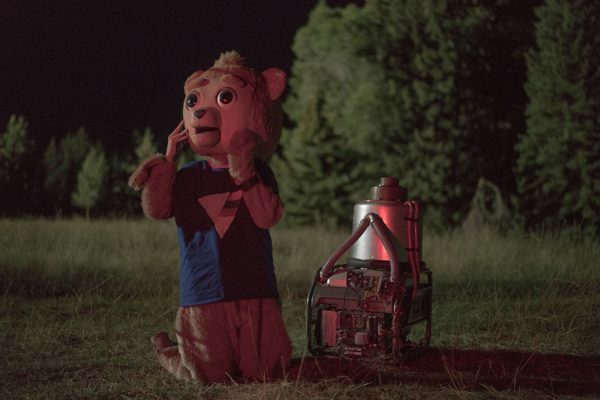 If you only saw the opening ten minutes of Brigsby Bear, you’d be forgiven for thinking that it was some kind of bizarre, post-apocalyptic survival drama. There’s an underground bunker with equations scrawled on the walls, gas masks, and animatronic animals scattered beyond the confines of the dugout. However, though the film is certainly bizarre, a post-apocalyptic drama it is not. Rather, it is a heart-warming comedy about a man-child trying to make his way in a world that he knows nothing about. The story begins properly after the police storm the bunker that James (Kyle Mooney) is being kept prisoner in to free. 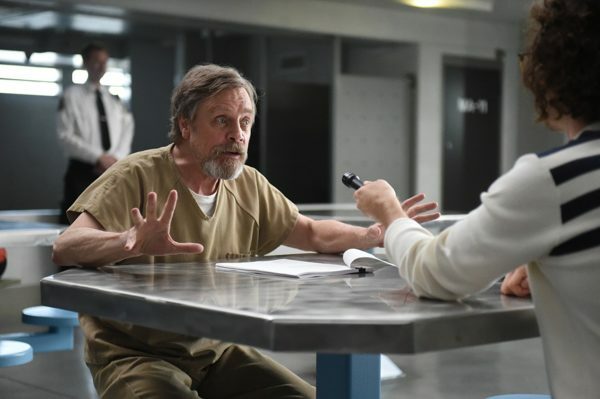 At the station, they explain that he has been kept hostage by a couple of college professors (Mark Hamill and Jane Adams) for the last twenty or so years, and that his real parents have been looking for him all that time. The world he thought he lived in – one where the air was unbreathable and the only thing to watch was a truly odd children’s cartoon called Brigsby Bear Adventures – was actually just a fabrication created by his captors, who used the Brigsby Bear cartoon to fuel the illusion, and to teach James mathematics. Despite this somewhat convoluted introduction, the rest of the film plays out in quite a simple way. After being introduced to the wonders of the real world, James realises that he wants to be a filmmaker. 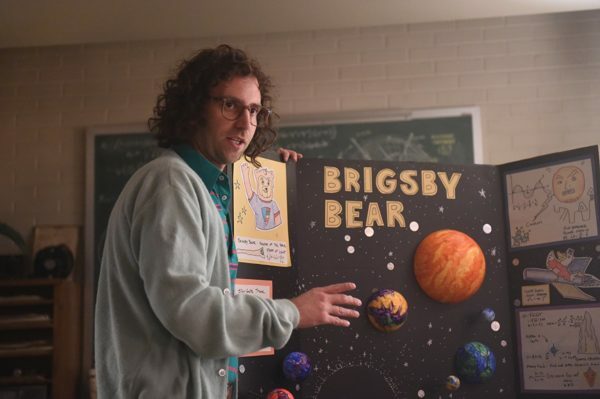 More specifically, he wants to make a film version of Brigsby Bear Adventures, that will bring an end to the nearly 1000-episode long series. 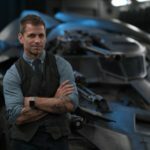 The beauty of the film lies in the struggle James has adapting to the real world successfully enough so that he can make his movie. As you might expect, having been brought up in a bunker for his whole life, James’ social skills are somewhat lacking, and his unusual dem eanour often causes a great deal of trouble for him and those around him. Kyle Mooney does an excellent job of bringing the awkward, yet likeable James to life, and really manages to hold the film together in its slower moments. The script throughout the film is also solid, thanks again, in part, to Kyle Mooney. There are some great quips, and the humour throughout manages to tread a fine line between subtle and outright peculiar. The on-running gag of James using the slang of the teenagers he hangs out with helps cement the character, and aids in his transition to the real world. If I had to criticise anything, I’d say that the direction feels a little flat compared to the scripts and the characters. Though there are moments where we are shown the world through James’ eyes, but these moments are few and far between. Most of the time, we are simply shown James as he appears to the world. This is not a major criticism. After all, the bulk of the humour does come from the juxtaposition between James and the real world. But a little more stylistic insight into how James viewed the world wouldn’t have gone amiss, in my very humble opinion. The storytelling is certainly unique, and I have honestly never seen a film like Brigsby Bear before. 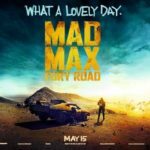 However, the over-arching, feel-good tone, left the film without any truly epic moments. Although the story is enjoyable, not to mention easy to get balled along with, I never felt it truly peak. Granted, the ending was incredibly heart-warming, but the journey towards that ending seemed to ride a moderately high plateau almost consistently, with very few moments really ramping things up. Perhaps it’s unfair to criticise Brigsby Bear in this way. After all, the lack of extremities is really a confine of the feel-good movie genre, not of the movie itself. Nevertheless, I still feel that it is a point worth mentioning. 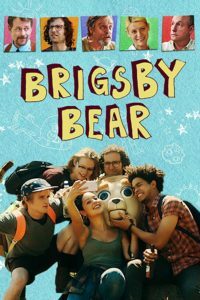 Brigsby Bear is without a doubt a unique and interesting film. It’s not without its flaws, and overall falls short of greatness, but it’s an excellent film nonetheless.